That’s right, it’s 4-fer today! I’ve done a make over in 4 rooms and I’m sharing all of them with you today. 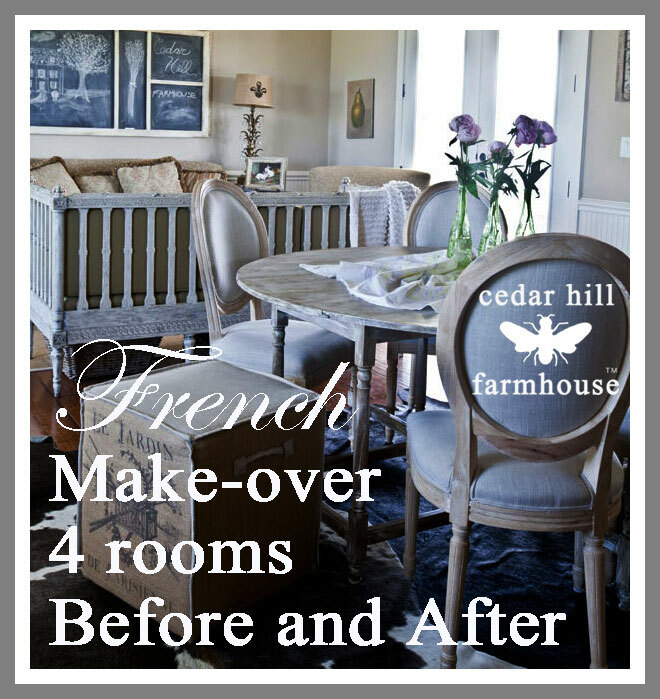 The farmhouse is getting a French face-lift and I thought it would be fun to see all 4 rooms together. Hopefully you will get some French decorating ideas. To help pay for the new things, I have been selling my old things at a consignment store. That helps to defray the cost when you are changing things out, and it doesn’t require the effort of a garage sale. I just can’t do a garage sale. I don’t have it in me. So if you need to sell something check out the consignment stores in your area. You can also use Craigslist, usually safe, and many thrift stores will allow consignments. This was a simple redo mainly involving the chair and shower curtain in here, although there were more changes. In this shot you see the shower curtain, the chair, and the artwork being changed out. In process (I painted the chair after the photo was taken. You can read about painting the chair (fabric and all) HERE. AFTER with the chair painted. The adorable shower curtain was from Pottery Barn. There the change was basically changing out the chairs. I’m still deciding whether or not to paint the kitchen cabinets. Here the chest and chairs were changed out, as well as the accessories on the chest. The table and chairs were changed, along with the accessories in this room. The rug was also changed. So those are 4 room with French decorating ideas. I hope you got some inspiration for your house. I changed out furniture, but you can also try changing out accessories to get a new look, or simply rotate things from one room to another. i love all the changes anita, particular that bathroom. it’s amazing how a little chair and curtain can change the whole room. Very pretty. 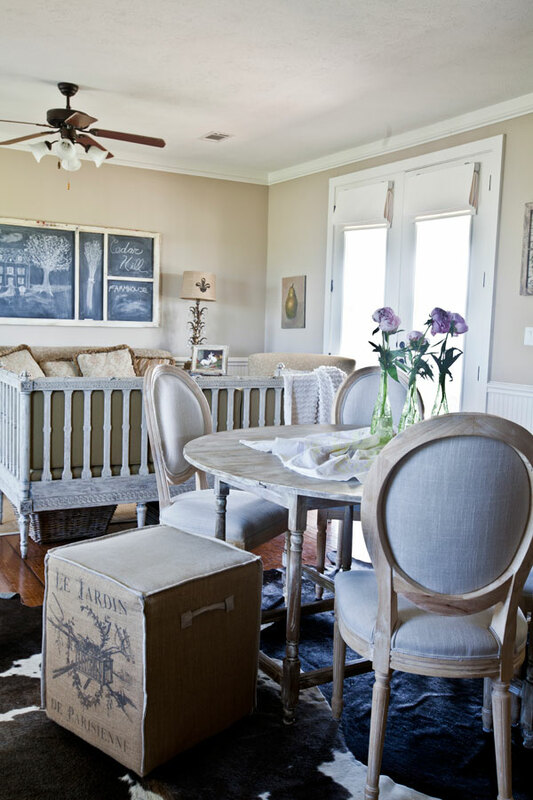 Those chairs are perfect for the kitchen table and the armchairs in the MB are lovely. Love that shower curtain too. The last photo is a rticularly good change, much more balanced. Are you back to work after BE? As always, lovely design. I especially love the bathroom make-over. Do you think the shower curtain would look good with black towels? I was thinking of getting this curtain but I want to use black towels. Very pretty, love the wood chest versus the red chest, although the red chest was pretty. In the bathroom the ruffled shower curtain detail is SO delightful! I think it gets lost at the bottom of the shower especially with the chair there. 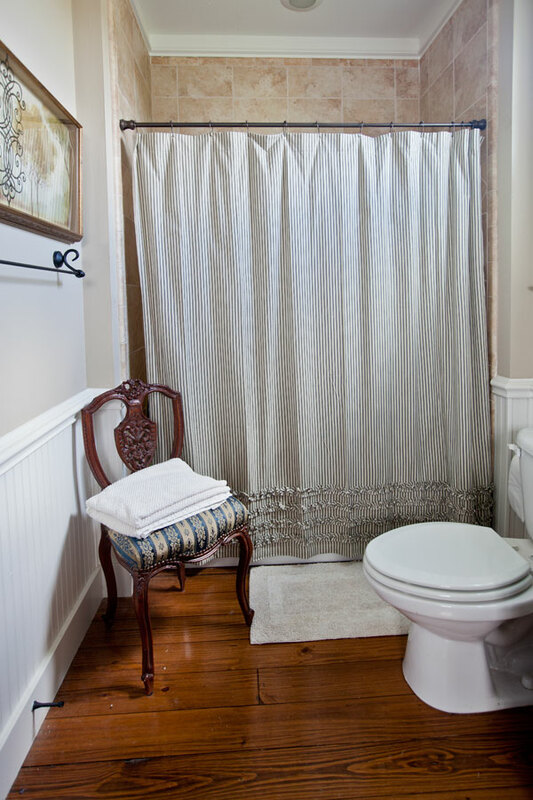 Did you consider flipping the shower curtain upside down so that the ruffles are more prominent by being at the top, held by clips (like curtain ring clips). If the idea of the holes showing for the shower curtain rings at the bottom bothers you, you could always thread a plain ribbon through, although I doubt it would be that obvious. Your rooms are gorgeous and I love all the chairs! I have this thing for chairs too and yours are fantastic. 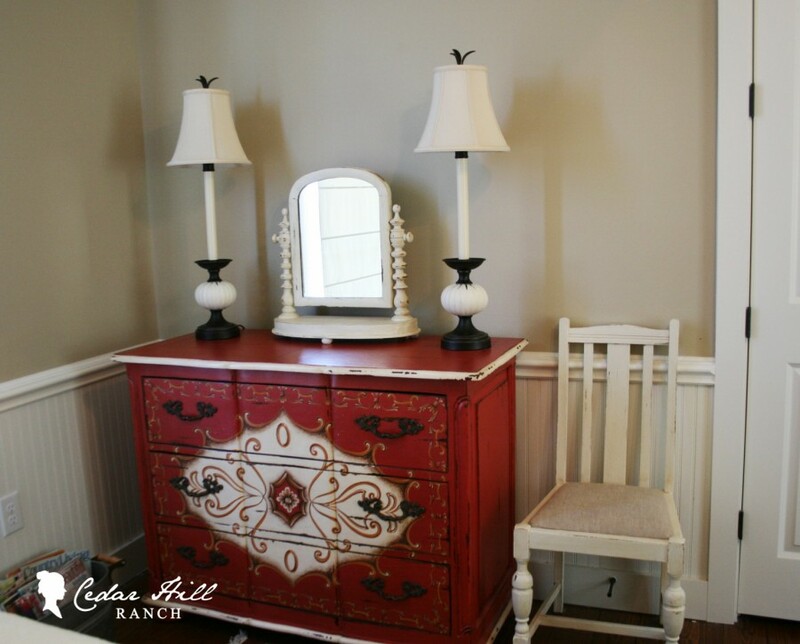 Beautiful changes… Luv the painted chair. I thought I lived there’d chest in the girls room, until I saw the replacement. Beautiful…. 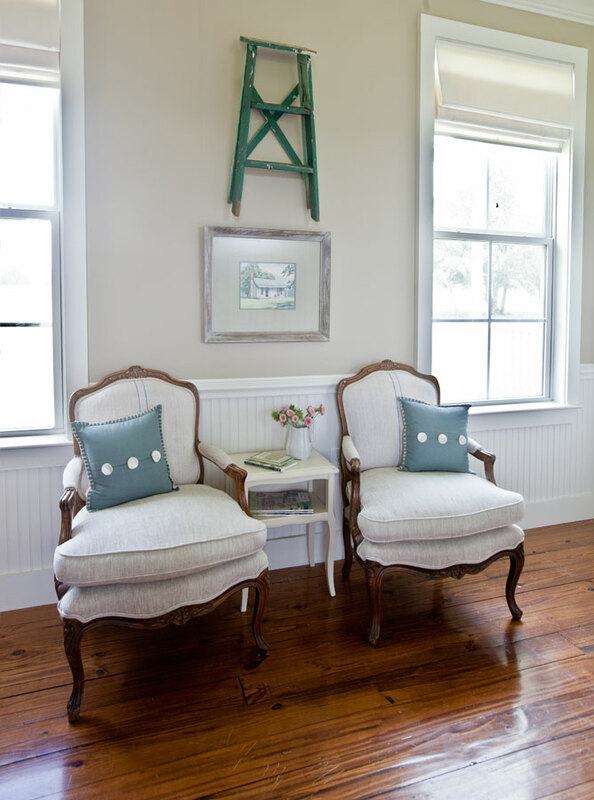 Love the chairs in the Master….perfect! 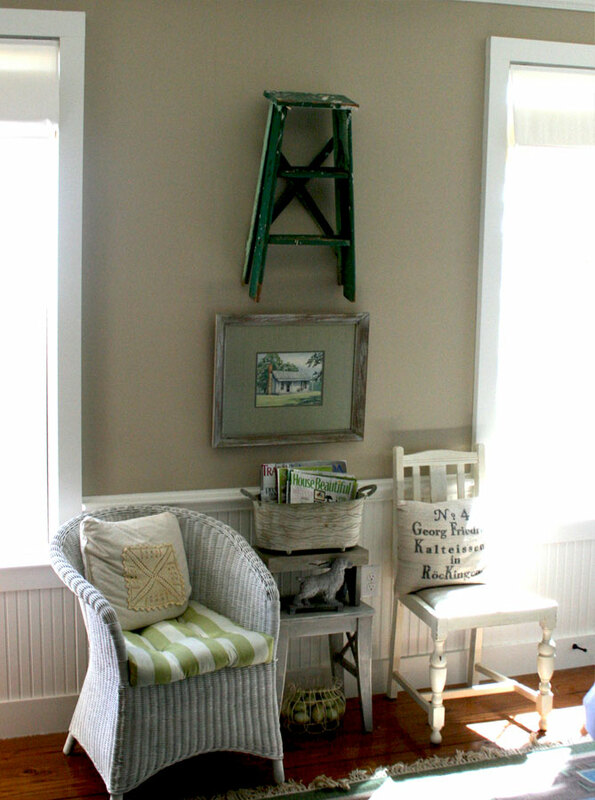 Love how you painted the chair for the bathroom….how is that paint different from ASCP other than $$? 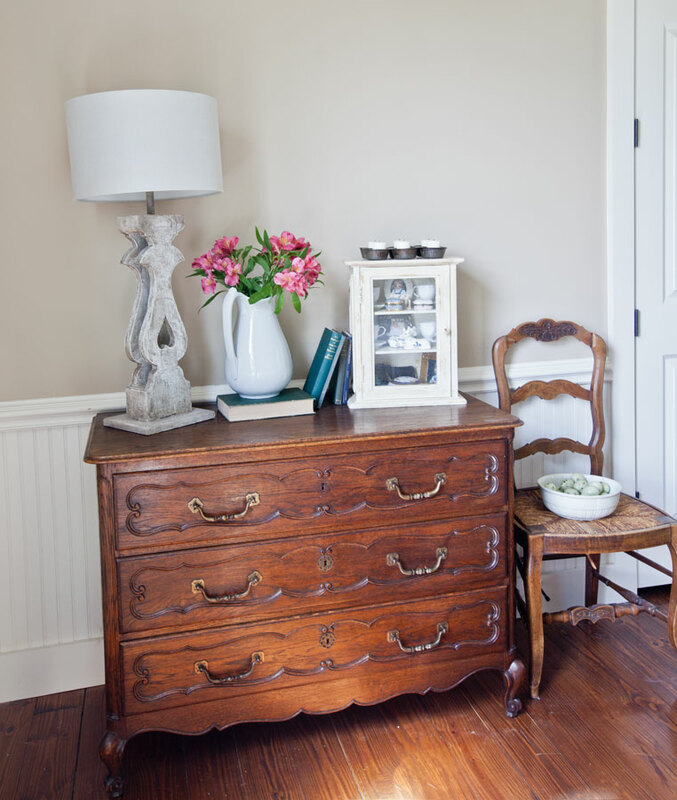 Overall, your rooms are calm and relaxing…love that…. HUmmm….might be time to paint something here…. What kind of floors are those? Are they 1x’s? I LOVE them!!! They are pine, otherwise I’m not sure what size they are. 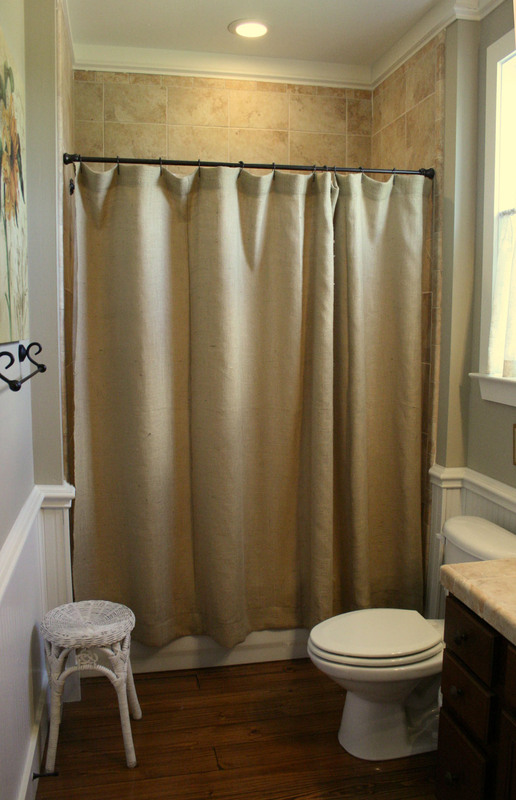 Love the shower curtain from PB – because I too have it! 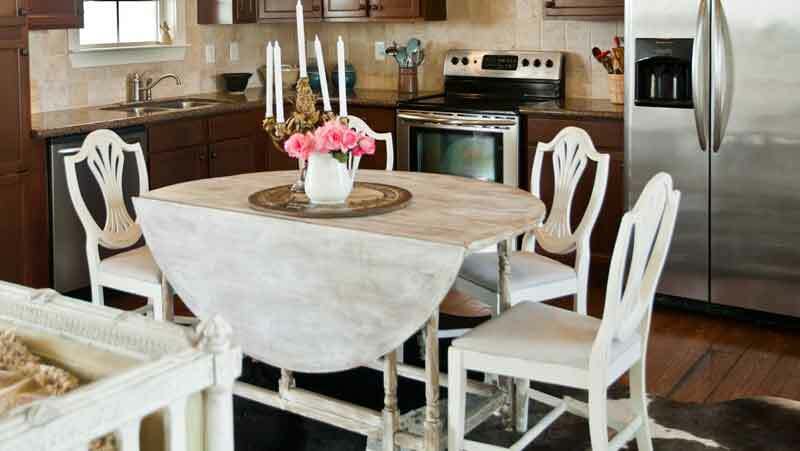 Painting the kitchen cabinets – tricky – if you don’t find the right color the furniture will fade away to the eye. Maybe a dark gray and I’m talking dark gray or if the color in your photos (or my eyes’ perception) is beige, then DARK beige….color with umpf! Did you paint the walls also? They almost look a little lighter in the new pictures. Maybe it’s just the new lighter accessories? Everything looks beautiful! It really makes a difference, just some little changes. Thank you for your inspiration. It’s all very lovely, do you start on one space and work your way back around to it contenually? Your new dining chairs are beautiful. I just love your calm, neutral color scheme! Great upgrades, thanks for the inspiration. Pottery Barn shower curtain! I thought the new chest in the girl’s room is beautiful! The changes make each room more upscale and less haphazard. Each one of the before rooms looked unfinished such as the dining chairs needing a touch of color. The girl’s room would be my favorite with the bathroom second in line. love the kitchen chairS, where are they from?